EVM is a known Project Management Technique that could be considered ineffective in activities that do not ordinarily contain temporal work to create a unique result (projects), such as services or ongoing operations. 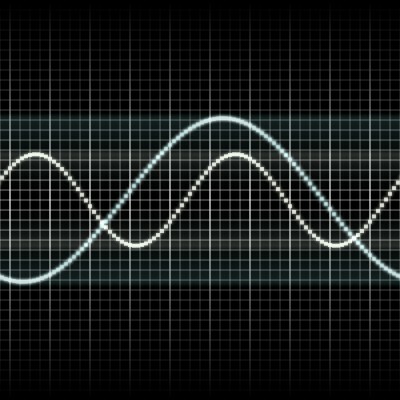 A good analogy is proposed to use EVM in services, converting the model to the Frequency Domain using Fourier Transform. A simple example is shown to obtain conclusions about how to manage a continuous service with this new technique. Earned Value Management (EVM) is a very known, elegant and effective Project Management Technique. It unifies the three main knowledge areas (Scope, Time and Cost) of Project Management in a common framework that mathematically represents the relationship between them. It can be used to dramatically improve the success rate in projects when it is complemented with other techniques of Project Management. A project could be defined as a temporal work to create a unique result. Unfortunately, the application of EVM to efforts that may be categorized as “non-schedule-based”, i.e., those that do not ordinarily contain temporal work to create a unique result, could be considered ineffective. “Non-schedule-based” efforts include services composed primarily of Level of Effort (LOE) activities, such as maintenance services or continuous services. Almost every product of a project have a continuous operation phase after a transition stage. Different skills and techniques needed to manage continuous operations are the reason to divide this cycle in a "project phase" and an "ongoing operations phase". Even more, many projects have a portion of their first activities responding better to the definition of ongoing operations. It is a challenge to fight against the ineffectiveness of EVM in ongoing operations, extending the model to manage “non-schedule-based” efforts. Let’s name this model EVM[t] to differentiate from the model EVM[w] that is proposed in this document. If you are already familiarized with EVM, just skip following title and go to the next one. 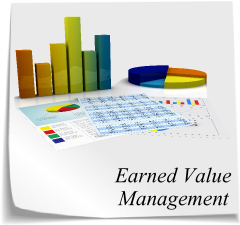 Earned Value Management is founded in the use of three variables: Planned Value (PV), Actual Cost (AC) and Earned Value (EV). The first two concepts are easy to understand. The last variable is a good measure of progress. PV is also known as Budgeted Cost of Work Scheduled (BCWS). The curve obtained of the accumulated planned cost (PV) is also known as "Baseline" and is the reference for the cost performance for the whole project. AC is also known as Actual Cost of Work Performed (ACWP). The Actual Cost (AC) is clearly associated with work, because the units of cost that are measured by AC are those generated by tasks that have been worked. In other words, when a unit of work has been done, AC adds the real cost for that unit of work. EV is also known as Budgeted Cost of Work Performed (BCWP). When a unit of work has been done, EV adds the same value that was planned for that unit of work, no matter how much was the cost of finishing that unit of work. A project's Cost Variance (CV) is simply the difference between the Earned Value (EV) and the Actual Cost (AC). The value is positive if the budgeted cost of the work performed is greater than the actual cost of the work performed. In other words, CV is positive whether a project is under the budget. The Earned Value Analysis mainly observes SV in order to know the speed of the project. It also observes CV in order to know if the project is on budget. There are many other index and concepts, but these are the basics. EV[t], AC[t], PV[t], CV[t] and SV[t] are functions of the time. They are measured in units of economic value ($). Mathematically, the domain of them is time and the range is economic value ($). Let’s talk about “services” instead of “projects”, because in frequency domain could be more appropriate. Let’s use “w” to represent frequency, even though w is the common representation to frequency measured in radians, not in hertz. In this case is not important. “w” will be our representation of frequency, no matter the measurement unit of frequency. Let’s define analogically AC’[t], PV’[t]. The interpretation is very simple: these are the non accumulated variables. In a discrete model, these are the increments in each measurement period. Let’s define EV’[w], AC’[w], PV’[w] as new functions of the frequency. They will be measured in units of economic value ($) as the homonymous variables of EVM[t]. Mathematically, the domain of them will be frequency (w) and the range will be economic value ($). Let’s define analogically AC’[w], PV’[w]. Even though EVM[w] is not a model based on time, it’s clear that the model describes a physic situation that could be modified. EVM[w] describes past, present and future states of a service as we could know them. Nevertheless, EVM[w] analysis could make recommendable to do changes to the service. PV’[w] will be known as Budgeted Cost of Planned Goal (BCPG). The curve obtained from the planned cost (PV’[w]) will be known as "Frequency Distribution of Value" and will be the reference for the cost performance for the whole service. AC’[w] will be known as Actual Cost of Recurrent Achievement (ACRA). The Actual Cost (AC’[w]) is clearly associated with work, because the units of cost that are measured by AC are those generated by recurrent services that have been worked. In other words, if a level is recurrently achieved, AC’ will be the real cost for that achieved level, even though is not the planned level. EV’[w] will be known as Budgeted Cost of Recurrent Achievement (BCRA). If a level of service is recurrently achieved, EV’ will be the cost that was planned to achieve that level of service, no matter how much is the recurrent real cost to achieve that level of service. A service's Cost Variance (CV) will be simply the difference between the Earned Value (EV’[w]) and the Actual Cost (AC’[w]). The value will be positive if the budgeted cost of the recurrent work is greater than the actual cost of the recurrent work. In other words, CV[w] will be positive whether a service is under the budget, for the work planned to be done with frequency w.
A Service Level Agreement Variance (LV) will be simply the difference between the Earned Value (EV’[w]) and the Planned Value (PV’[w]). The value will be positive if the Budgeted Cost of Recurrent Achievement is greater than the Budgeted Cost of Planned Goal. In other words, for the work planned to be done with a given frequency w, LV[w] will be zero if the service is achieving goals and less than zero if not. EVM[w] will be useful to observe LV[w] in order to know the achievement of the Service Level Agreement (SLA). It will be useful to observe CV[w] in order to know if the service is on budget. In the following table you could see the data of an example. A discrete model is used to facilitate the understanding. Let the red squares be the actual cost of each recurrent work. Suppose that we normally achieve (green) the goals of the first Service Level Agreement (SLA), we are progressing (green) in the second SLA excepting with the weekly and monthly goals (blue). 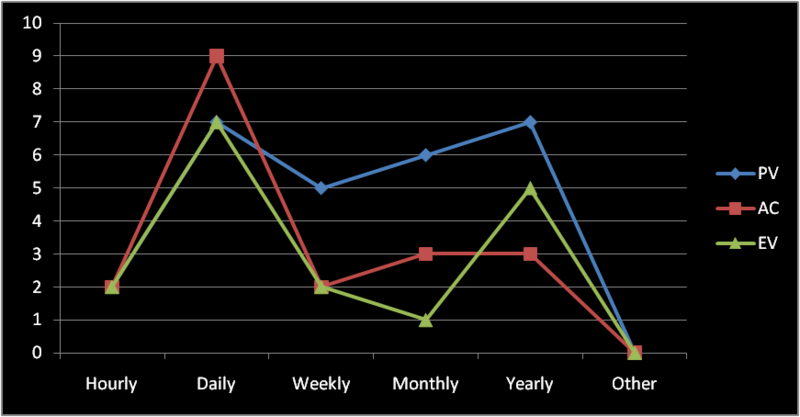 With the third SLA only the weekly goals are recurrently achieved (green). The goals of the fourth and fifth SLA are recurrently achieved (green). It's possible to see the last example drawn in the following curves. Hourly the service is going according to plan. Daily, the goals of the plan are achieved but the actual cost is recurrently over the budget. Weekly, the goals are not achieved but the cost is what was planned for that level of achievement. Monthly, the situation is worst, the goals are not achieved and even the cost is greater than what was planned for the levels achieved. Yearly, we save money but the goals are not achieved. 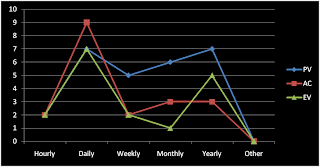 There is no apparent reason to not increase weekly efforts in order to achieve weekly goals, because the cost of those efforts are giving the expected results (CV[week] = 0 & LV[week] < 0). Normally, the goals of the year depend on the goals of the months and so on. It’s preferable to analyze the effects of a weekly increment of efforts before deciding to increment other efforts, but apparently there are money each year (CV[year] > 0) that can be used for that. EVM[t] could be considered ineffective in activities that do not ordinarily contain temporal work to create a unique result (projects). A good analogy can be done to use EVM project’s technique in ongoing operations or services. An Earned Value Management technique in Frequency Domain (EVM[w]) has been defined using Fourier Transform to prove this possibility. Non accumulated variables are needed to do so. An example has shown that homologous indexes can offer interesting information to obtain conclusions about how to manage a continuous service. I have read that there is a common approach to start developing a Risk Management Plan in nuclear plant projects, which is a Probabilistic Risk Assessment (PRA). Investigating, I found that a PRA identifies and evaluates what experts think are the most important risks. Sophisticated methods as Markov Chains and Bayesians Inferences are useful to make a precise probabilistic analysis. This quantitative analysis is founded on a good identification stage. What if the experts identify a poor percentage of risk sources?. What have we learned about risk identification at 9/11?. We make a good manage of known risks but sometimes a poor manage of unknown risks. I have heard that nuclear power plant design strategy for preventing accidents and mitigating their potential effects is "defense in depth". It means that if something fails, there is a back-up system to limit the harm done, if this back-up system also fail, there is another back-up system for it, and so on. 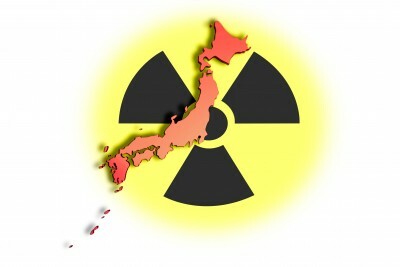 It's what we are seeing in the Fukushima Dai-ichi power plant. We haven’t seen a full meltdown yet, but we have known about the discharge of over 10,000 metric tons of low-level radioactive water into the ocean, what in risk management is called a secondary risk. I don’t want to be a strong critic of efforts that are beyond my capabilities. I hope this could end well for that people. Probably, nobody can do more than Tokyo Electric Power Co (Tepco) in current circumstances. But what we can do is to learn. Even more important than a good quantitative analysis in a PRA is the Risks Identification Stage. We are using experience and imagination to face this problem. I propose to create models, algebras and discover what is not obvious. Computer science could help us to explore possibilities with inference engines or can help us in solving big equations. We don’t have better tools to deal with what we don’t know. Using experiences is not a solution when we are working with so many new technologies and new possibilities. In my opinion, there is a natural tendency of humans to change the progress measurement criteria during the execution. Normally, the change increases the importance of what we have done and decreases the importance of what we have to do. This behavior generates a very common consequence in the projects performance, that is, we dedicate 80% of time finishing the last 20% of the project. 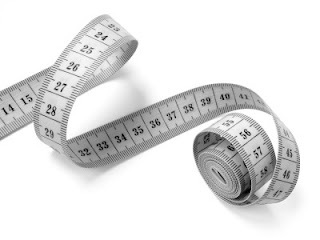 A Key Practice of Earned Value Management is selecting the technique of measurement of Earned Value during project planning and avoid doing that after the project planning. This simple rule helps a lot in avoiding the 80/20 problem. A second Key Practice related with Earned Value Measurement is to select an appropriate method according with the type of effort. It’s possible to assign different methods to different activities, depending on the nature of the work. There are discrete methods, apportioned methods and LOE (Level Of Effort) methods. Key attributes of work are: the duration and the tangibility of product. The following are a few and probably the most known methods. The most common measurement method is the 50/50 formula. The first number, from left to right, is the percent of progress that is accredited when the activity has started, regardless how much of the progress has actually been accomplished. The second number is the remaining percent progress that is accredited when the activity has been finished. Other common rules are 25/75 and 0/100. The beauty of this method is that it is very easy to measure and very objective. This technique divides the work into a finite number of pieces and assigns a weight to each piece. It’s common to use percents and the sum of weights is 100%. The weight is the percent of progress that is accredited when the piece is accomplished. It’s important that each piece is related to an observable milestone. This technique accredits a percent of progress according to a predefined rule that is directly related to an observable characteristic of the work. Let’s take the example of the construction of a wall planned to have a height of 100. The Percent Complete Method could consist in accredit a percent of progress equal to the accomplished height of the wall. This technique accredits a percent of progress according to the progress of other unit of work. The most common application is the Project Management. If we divide the scope of the project in two Work Packages: 1) Project Execution and 2) Project Management, then we would accredit the progress of the Project Management according with the progress of the Project Execution. In this example, we say that the method is Apportioned To Project Execution. This technique divides the Total Planned Value in a unit of Planned Value to each measurement period. The Planned Value is automatically accredited at the end of the period. It’s impossible to have a Schedule Variance with this method, but it is possible to have a Cost Variance. This method is used when it’s almost impossible to have a good measurement of tangible outcomes or when there is not plan for those outcomes. There are two good sources to learn about Earned Value Management Systems (EVMS), both of which are very useful when considering the implementation of EVMS. The first is a book of the Project Management Institute titled "Practice Standard for EARNED VALUE MANAGEMENT" published by Project Management Institute, Inc. in 2005. The second is the ANSI/EIA-748-B-2007 about Earned Value Management Systems. It's not easy to choose between both authorities in the field. I'm going to say a few important things about both sources so that you can make a decision. The PMI Practice Standard is clearer, more practical and it has images and formulas that you can use in a simple way. The EIA-748-B is a good text without formulas nor images. Both are short and easy to read. The PMI Practice Standard is oriented to Project Management and the EIA-748-B is oriented to Program Management (http://www.earned-value.com/2009/04/author.html) . With a few differences, both are useful for the overseeing of projects. The PMI Practice Standard has chapters dedicated to Performance Analysis and Forecasting while the EIA-748-B is more dedicated to the basics. Both propose Key Practices. While the PMI Practice Standard presents the CPI and SPI, the EIA-748-B only presents the concepts of Variations. 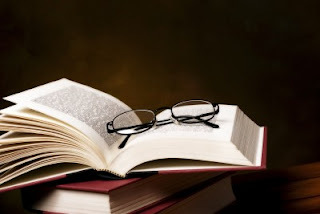 The fault of PMI Practice Standard is the proposal of using the SPI defined in an old way that today is recognized as a bad index (http://www.earned-value.com/2011/03/spi-is-not-good-index-at-project-finish.html). The PMI Practice Standard defines five (5) different Earned Value Measurement Techniques while the EIA-748-B only presents three (3). The EIA-748-B takes care of changes in deeper way, expressing points of view about Retroactive Changes and Internal Replanning. I think that the EIA-748-B could be used as a more flexible standard in order to allow evolution and the work between different organizations. The Program orientation is something good for project overseeing and PMOs. The PMI Practice Standard could be a good guide for Project Management and a more precise definition to automate the processes or to create a software. As a conclusion, both sources are useful. My recomendation is that you use the EIA-748-B as the standard and create a more precise and practical guide based on the PMI Practice Standard.